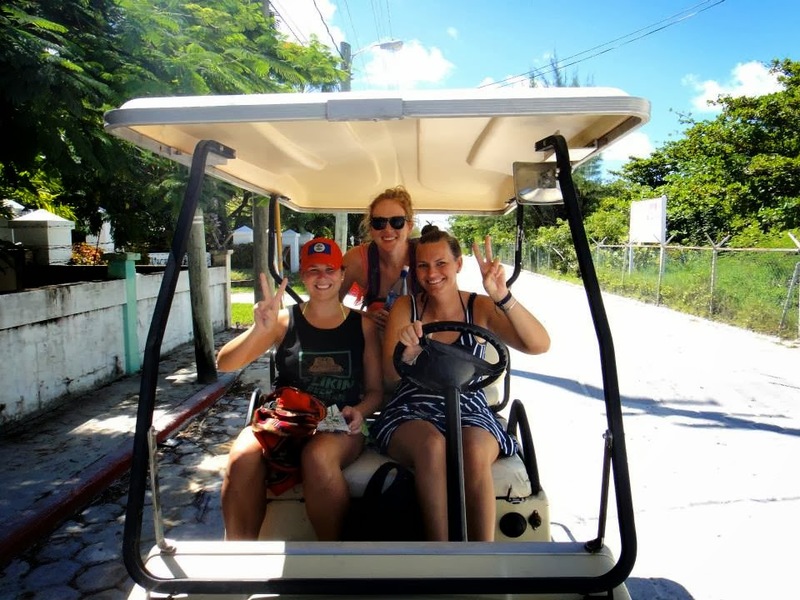 Today we went to San Pedro, Ambergris Caye and rented a golf cart to explore the island with Anna, an English women we met at the Split. 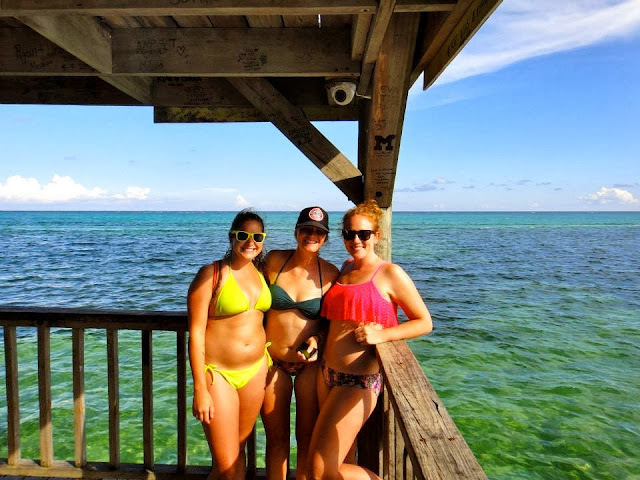 San Pedro is much larger then Caye Caulker so walking around the island isn't as convenient. Taylor was by far the best golf cart driver. 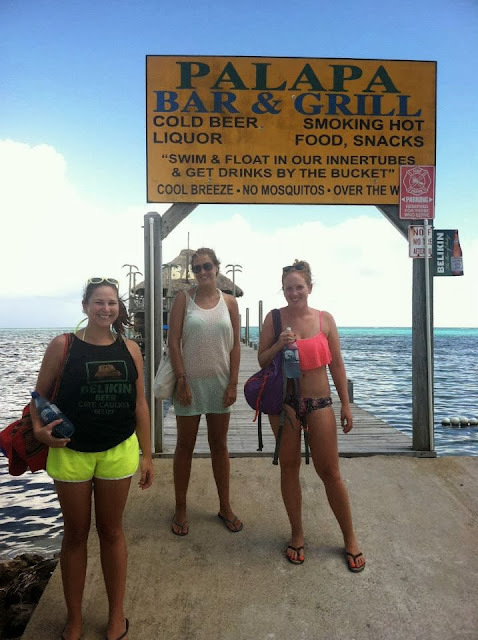 After taking over some resort lounge chairs our main destination was Palapa Bar & Grill. A bar out on a pier with inner tubes to float in. We did just that, after lunch.